Full Supermoon 23rd June 2013 at 2 degrees 10 minutes of Capricorn. It is Sunday and a very important Lunar day. 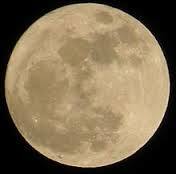 We have a Full Moon which is a Supermoon as it is the closest that it will be to us until August 2014. This will have an increased magnetic effect on tides and the Earth’s crust so could produce unexpected weather phenomena. Also it will pull at our emotions so there could be high drama everywhere. In the zodiacal wheel the sign of Capricorn is on the MC, the 10th house (although to ascertain how celestial transits will affect you on a personal level you would need to get your natal chart drawn up). This is the highest point in the chart, where we are aiming for in our public life. The mountain goat represents Capricorn and this animal reaches the top. We are at the time of the Summer Solstice when the Sun is at its most high point and the daylight is at it peak. The Sun is in the sign of Cancer, a watery sign and ruler of the IC, the house of home and security, where we come from, how we are rooted at our deepest point in our lives and psyche. Cancer is symbolised by the crab and the shell that we emerge from and retreat to. Inner versus outer, the home versus the outer world, home life work balance. The push and pull of home, family, security and worldly status, impact, achievement, glory, ambition. We all have these two faces/sides to us, the crab inner face/aspect and mountain goat outer face/aspect. If you have been feeling emotional about how your life has been flowing recently and perhaps have been over sensitive to comments from others or yourself about how much you will amount to etc, now is the time when you should look at the postive steps that you have made. The Moon rules Cancer and although the Sun is in this sign, the Moon holds the power as Cancer is its domain. The Supermoon being so close to the Earth will give you a gift of reflection to show you the patterns, how your life path has formed to this point and will shine a light on the steps that you can take to lead you to the top of your mountain. There are many paths and many mountains, some small, some large and they are personal. They cannot be measured by others but are set and measured by yourself. Put on the surefooted mountain goat shoes of Capricorn and emerge from your crab shell of Cancer with confidence that wherever your path will lead it will still be within your comfort zone. There is no uncertainty principle here. Your IC and MC are entangled the moment you identify the next step and put the mountain goat shoes on. You are already there. Enjoy the expansion of your view as you venture upwards towards your highest ideal point. Wake up and smell the Capricorn coffee. This entry was posted in Dreams, Language and The Unconscious, Magic and Quantum Physics Musings, Magickal Workings, Moon, Reiki and Energy Work, SOW School Of Wyrdynamics and tagged Astrology, Cancer, Full Moon in Capricorn, Supermoon, Zodiac. Bookmark the permalink.